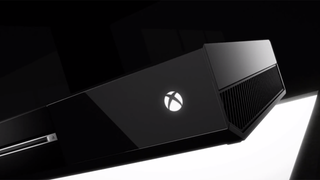 Several Xbox One buyers have reported disc drive issues affecting their brand new consoles, and although we don't know just how big a problem this is, the videos floating around are a little nerve-wracking. In the few videos I've seen so far, all posted this morning on YouTube, new Xbox One owners pop in game discs only to find that the systems' drives don't work. Then, as documented by at least four different YouTubers, there's a terrifying grinding noise that will make any tech aficionado squirm. Affected users say their disc drives just straight-up aren't working. Worth noting: over the past two weeks, Team Kotaku has been testing and playing around with four different retail Xbox Ones provided by Microsoft. We haven't run into this issue, or any other hardware failures. We reached out to Microsoft this morning, and we're trying to get a sense of just how widespread a problem this is. The PS4's "blue light of death" issues affected less than 1% of users, according to Sony. Launch hardware tends to come in hot. If you've run into this issue—or if your Xbox One has failed in any other ways—shoot me an e-mail.